Two Minnis Bay beach huts have been destroyed and one damaged during a suspected arson attack in the early hours of this morning (September 12). Kent Fire and Rescue Service was called to reports of the fire in The Parade at 3.07am. Two fire engines attended and crews used a main jet to put the fire out. Two of the huts were 100% destroyed by fire and the third had 10% fire damage. There were no reported injuries and the cause is believed to be deliberate. Five huts were also destroyed in a fire last month (August). Kent Police has confirmed an investigation is underway. 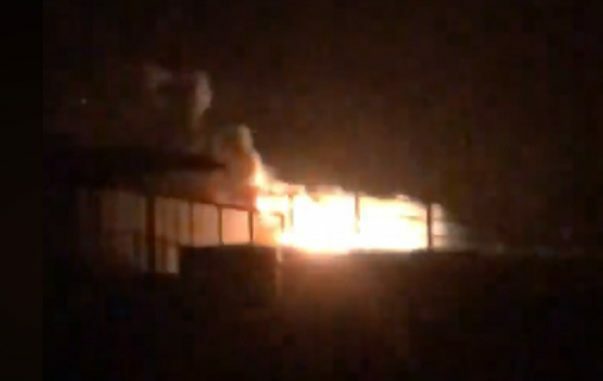 A spokesman said: “Officers are investigating after a number of beach huts were reported damaged during a fire in Birchington. “Kent Police was made aware by Kent Fire and Rescue Service in the early hours of Wednesday 12 September that their crews had attended a fire in the Parade, Minnis Bay, reported to them just after 3am. People with information regarding the fire, or anyone who was in the area at the time and saw anything suspicious, are asked to call Kent Police on 01843 222289 quoting 12-095.